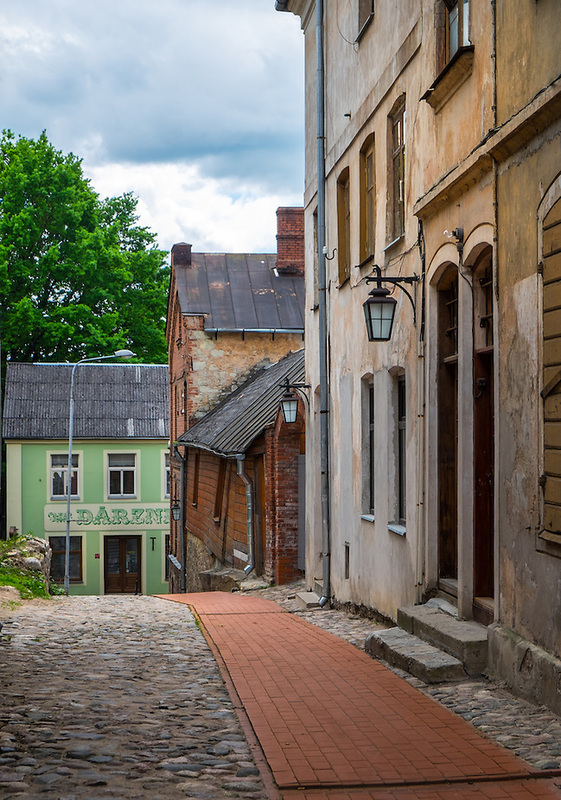 A medieval town nestled amid a pine forest and the Gauja National Park, less than two hours away from Riga, was more than enough reason for me to make a day trip. Getting there was fairly easy. Buses and trains run almost hourly, with several options from Riga. This place is just wonderful: yes, widely visited, but not spoiled by tourists, no souvenir shops. 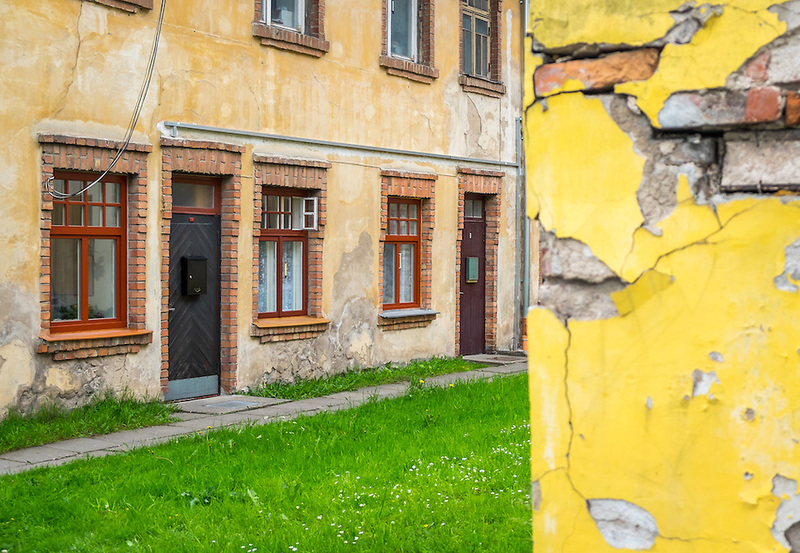 The small town feels as authentic as it can be. 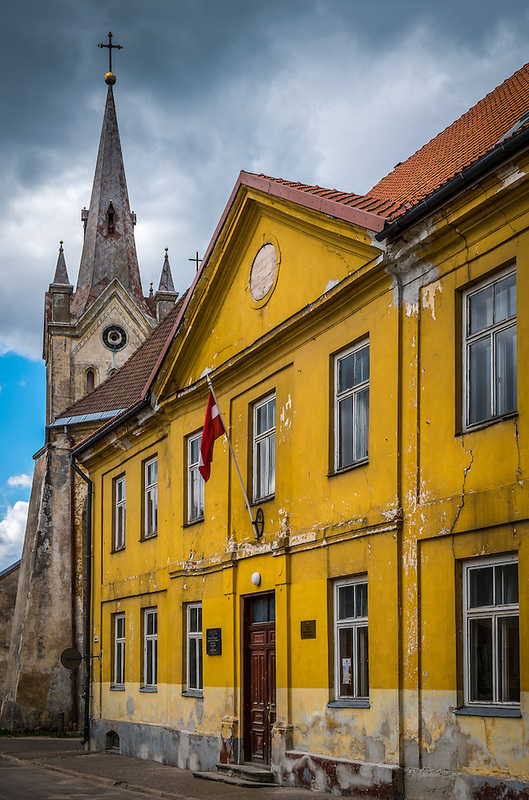 The fairy-tale town is best enjoyed just wandering, slowly, The main street, Rigas iela, has a lot of personality: a delightful collection of old tan buildings, beautiful cracked walls and wooden houses, all surrounded by narrow cobblestone streets leading to the main square. 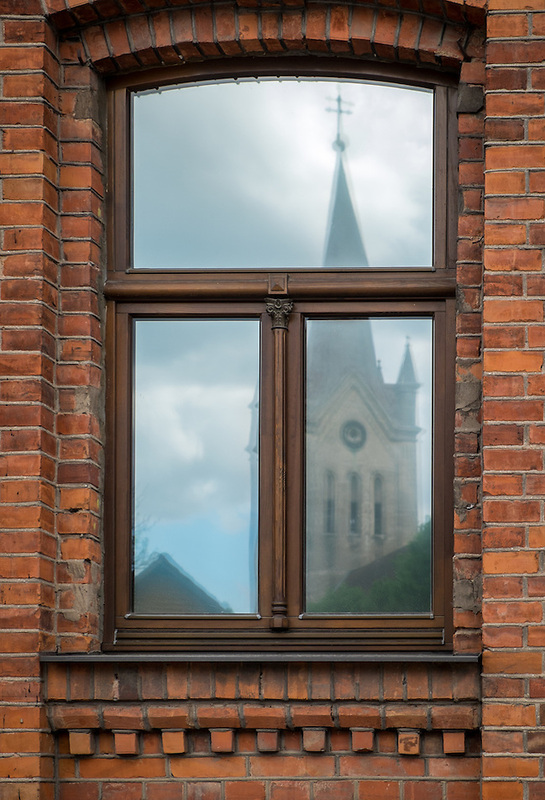 One of the oldest architectural monuments in Latvia, the St. John’s Church, dominates the main square. 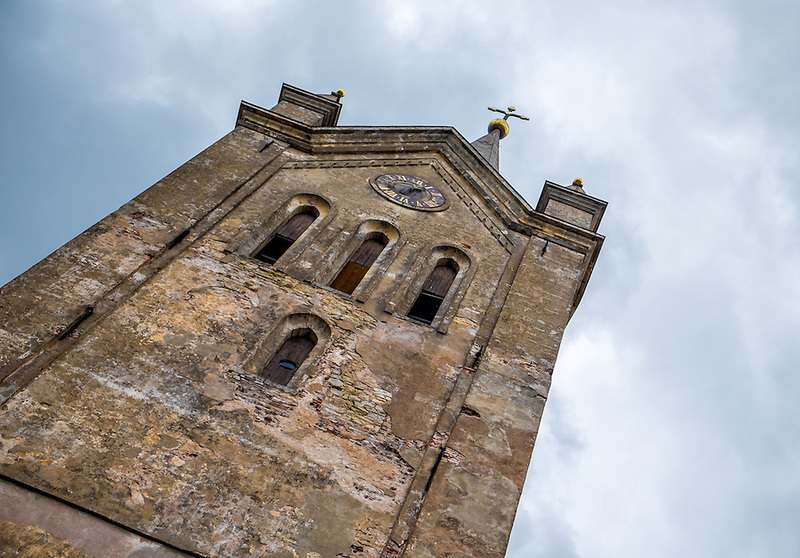 Rising over 250 feet high, the bell tower and gothic spire can be seen from almost anywhere in town, blending in perfect harmony against the sky. 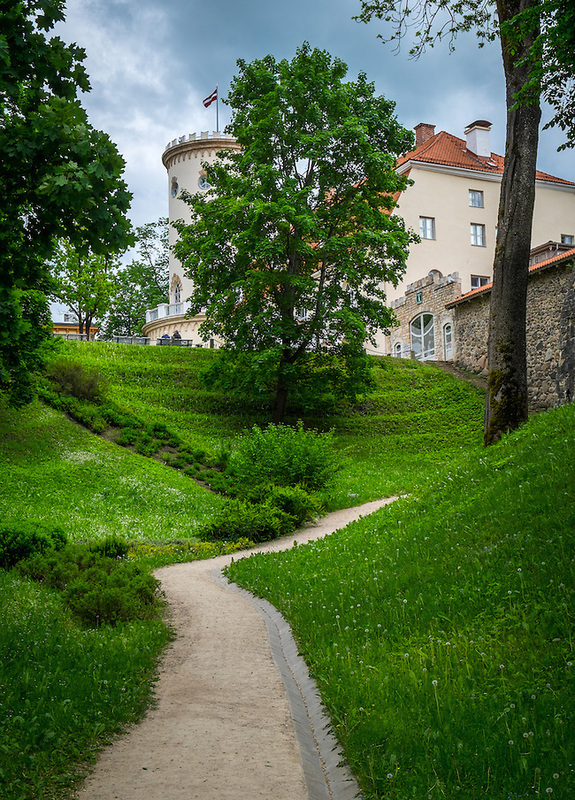 Another important sight here is the Cesis Castle, founded in 1209. It ruins are impressive. 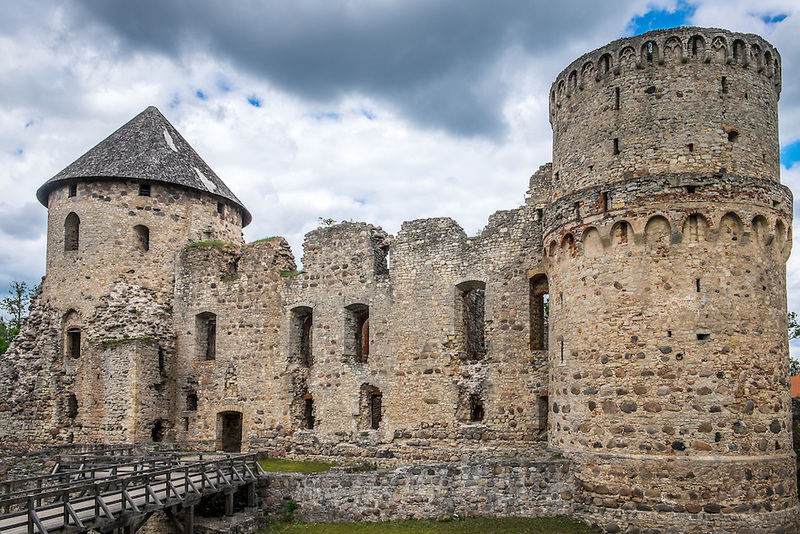 Destroyed and rebuilt several times, the massive stone walls can give testimony of its fates during over 800 years of history, crusades and wars. 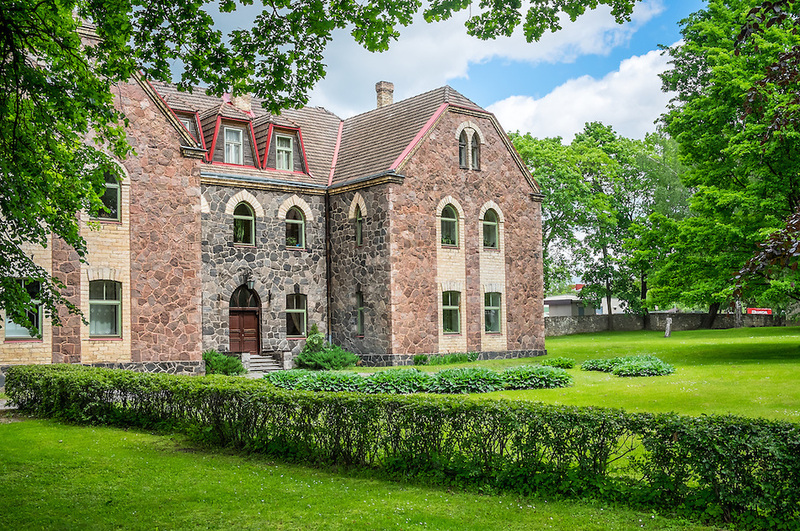 There is also a newer castle adjoining to this one, built in the 18th century; it is believed that was here where the Latvian flag was first erected. 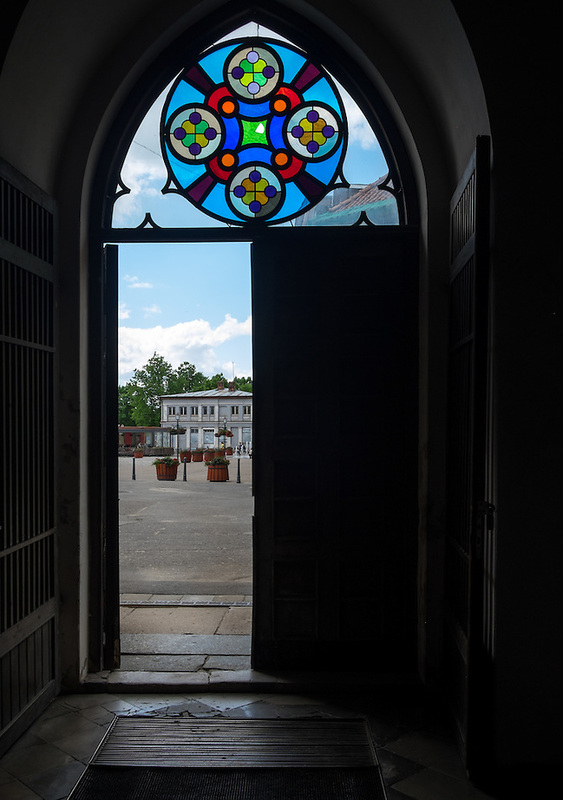 The old castle is open for visits, illuminated by charming candlelight that is provided in the visitor center. 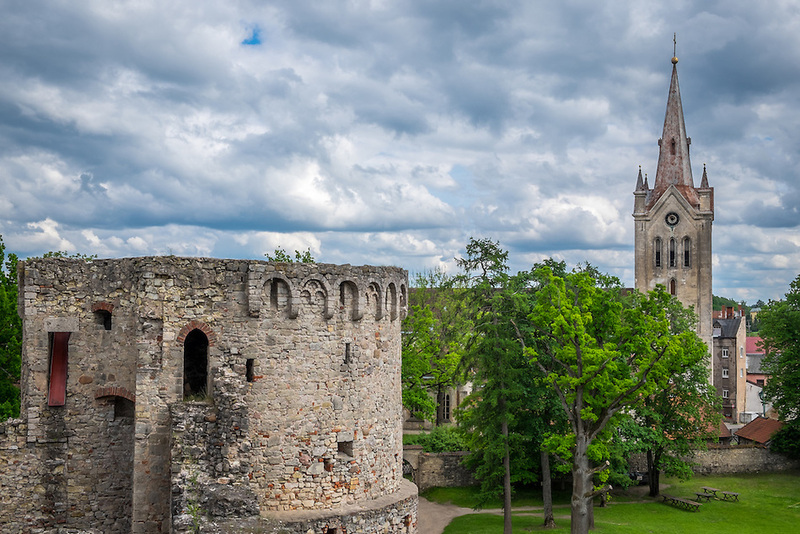 From the towers, you can appreciate superb views of the town, its surroundings and the Castle Park. 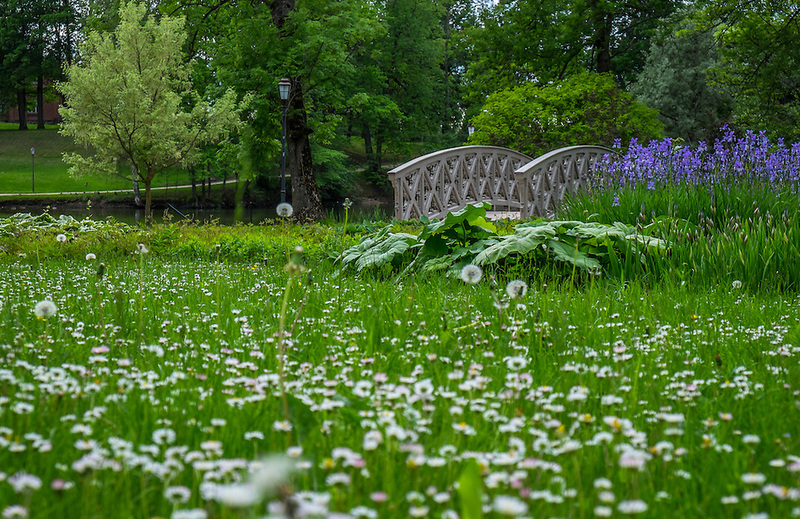 Further down from the castle, the park, called Castle Park or Pils Park, offers a great place to rest and enjoy the greenery. The romantic landscape is composed of pavilions, hilly foot paths, exotic plants and bridges over a central lake in which at times you can see the old castle reflected. This is the point where locals and travelers alike come looking for serenity after a long day of working or strolling around. 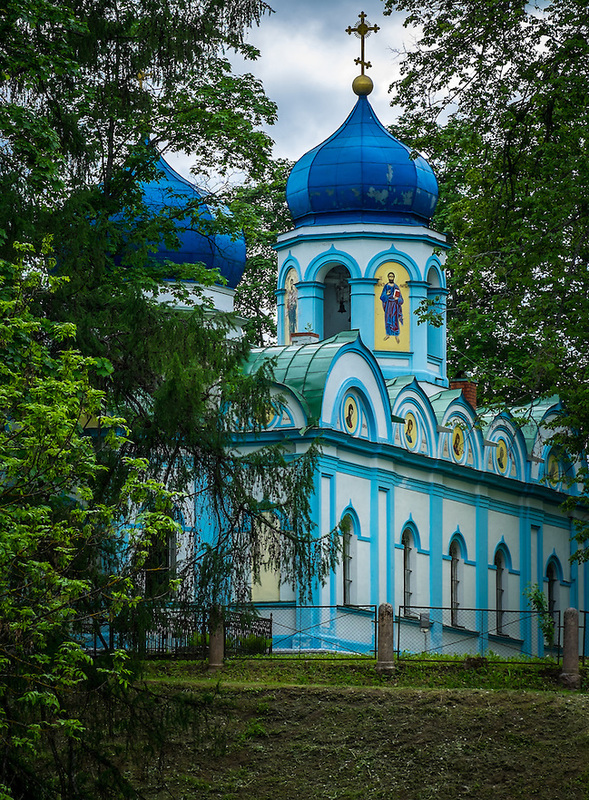 There is another interesting structure, located high on a slope overlooking Cesis Castle Park – the Christ Transfiguration Orthodox Church. This highly colorful church date from 1842, and the setting of the temple is stunning. Pale shades of green juxtapose with the blues, and the patina-looking painting of the edifice helps to create a story tale atmosphere around it. For me, this part of Latvia is a gem. I enjoyed walking around and photographing the town, a peaceful place, not overcrowded, free of tourist traps and with an amazing heritage. Hope you enjoy the photos. Like in the rest of the trip, all the photos here were made with the Fuji X-T1 and the Fuji X-E2 that has become my favorite travel kit.